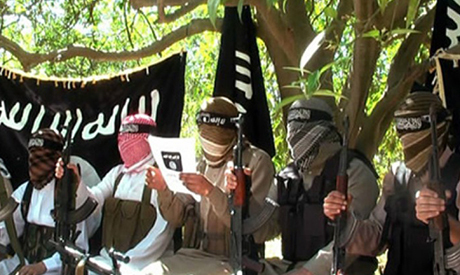 Still from an video produced by Ansar Bayt Al-Maqdis. Ansar Bayt Al-Maqdis, Egypt's most active militant group, has sworn allegiance to Islamic State, a statement from Ansar said Monday night. Ansar had previously told Reuters that it sought inspiration and advice from Islamic State, the radical Al-Qaeda offshoot that has taken over swathes of Iraq and Syria, drawing US-led airstrikes as it tries to remake the map of the Middle East. "After entrusting God we decided to swear allegiance to the emir of the faithful Abu Bakr Al-Baghdadi, caliph of the Muslims in Syria and Iraq and in other countries," the statement said. Last week the government declared a three-month state of emergency in parts of North Sinai following attacks that killed at least 33 security personnel in some of the worst anti-state violence since the ouster of Islamist president Mohamed Morsi. No group has claimed responsibility for the attacks, but similar previous operations have been claimed by Ansar. Nothing serious only sisi nesd dollors from west and usa...sisi want extend his illegle govt and making propaganda ..